The Pre K3 and Pre-K 4 Program at All Kids 1st Learning Academy provides an extra year of prep as we prepare children for their journey into the academically intensive Classroom. Using the Fun-Shine Curriculum, our teachers help them become independent and feel that they are an important part of our community through extensive exposure to social experiences. Throughout the year, our teachers help children negotiate, interact with peers, and make good choices. 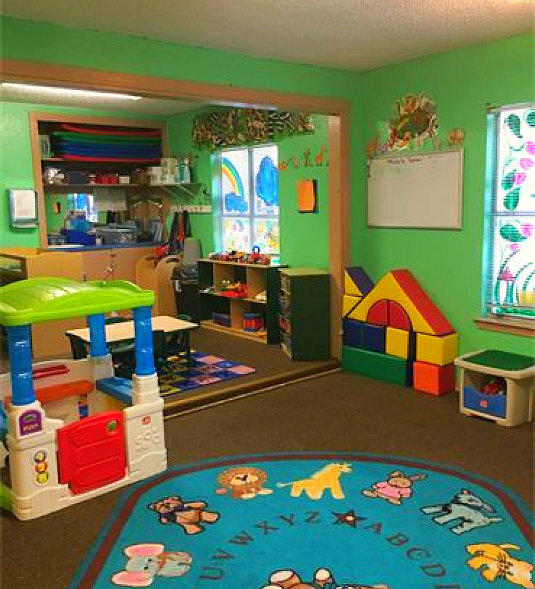 We provide lessons and activities in the areas of art, music, science, dramatic play, math, writing, and reading skills. At All Kids 1st Learning Academy handwriting is used as a kinesthetic tool for learning. Children begin writing letters, numbers, their first and last name, and shapes independently in smaller print than in the PK3A Program. Our teachers focus on improving skills rather than pushing for perfection at this age. Homework is sent on a daily basis to reinforce the lessons being taught in class. We base our PK3B Reading program on the mastery of phonics skills such as the recognition of all letters and letter sounds, identification of vowels, and blending two letter sounds together. Our students learn word recognition through the identification of color words, number words, classmates’ names, and over 60 additional sight words for a total of an exposure to 80 words. Our approach is to teach words that are repeated frequently in the literature that the children are reading in class. At All Kids 1st Learning Academy, we believe in developing a specific skill set of building and scaffolding in the young minds of our students. Our teachers construct activities which foster these brain processes through science, engineering, and mathematics enrichment. Student engage in counting, comparing, sorting, patterning, measuring, dividing, and sequencing through our math curriculum. They also build, tinker, assemble, and create just like budding architects! Our program features an enriched vocabulary curriculum through the use of literature and discussion. It is our desire to instill the love for books and reading at this age, which will lead to a lifelong journey of adventure through literature. Thematic units enhance the study of seasonal changes and events in order to foster connections to real life experiences. Do not be surprised when your child is able to identify the femur and tibia in a Halloween skeleton; that is our language development program at work! We believe in meeting the needs of each child through assessment and intervention. Lesson plans are customized to strengthen the academically weak areas of each child. Children are placed in small reading groups to encourage them to advance at an appropriate pace with peers who possess a similar skill set. Creative development is fostered through artwork, which is created daily in the classroom. Art projects also serve to enhance fine motor skills, which are crucial at this stage of development. Enroll your child today! If require more information about this program, please contact us at 210-822-7777.